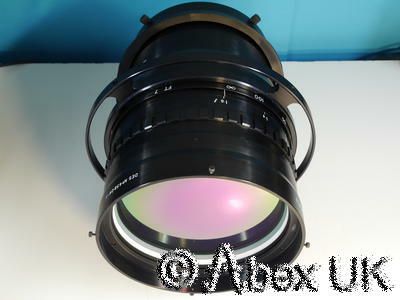 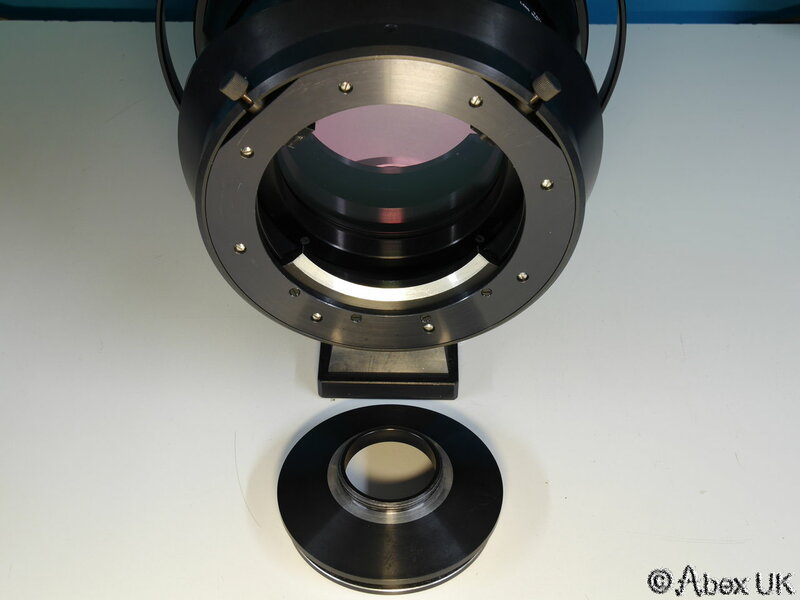 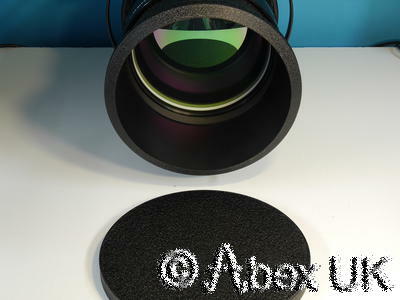 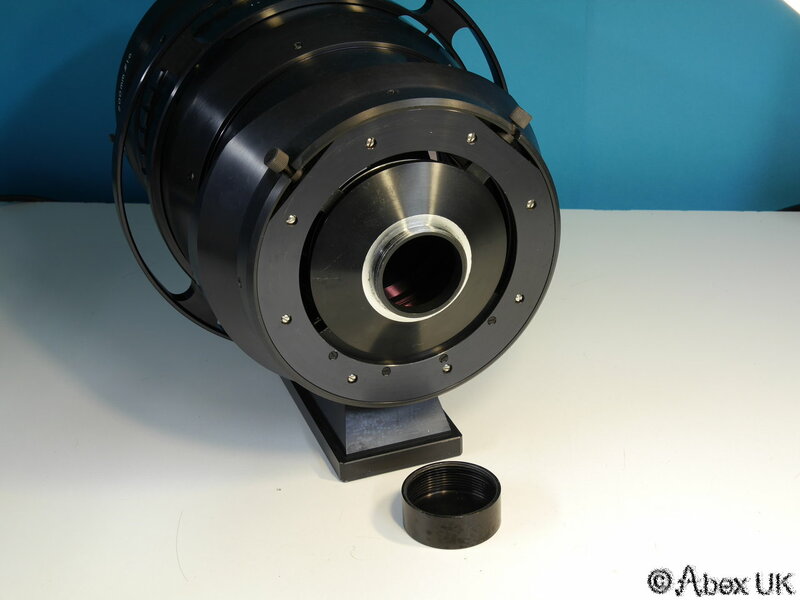 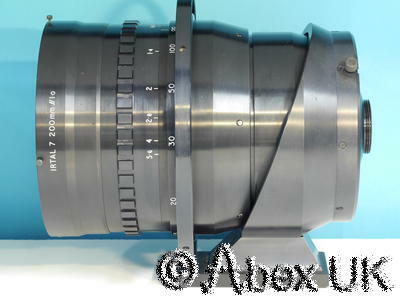 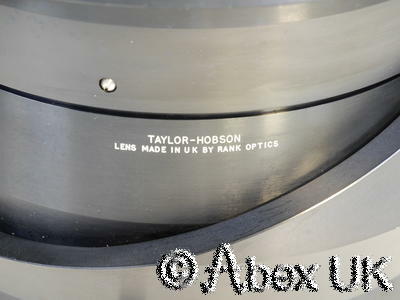 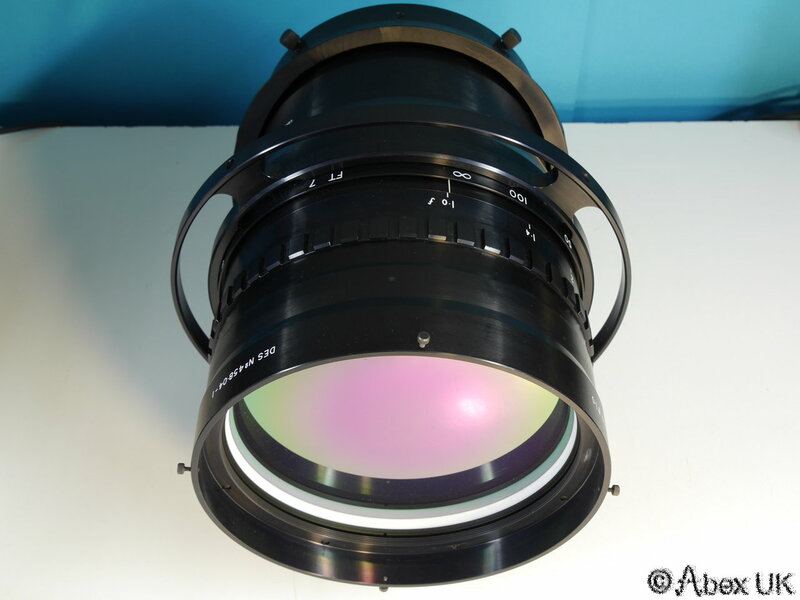 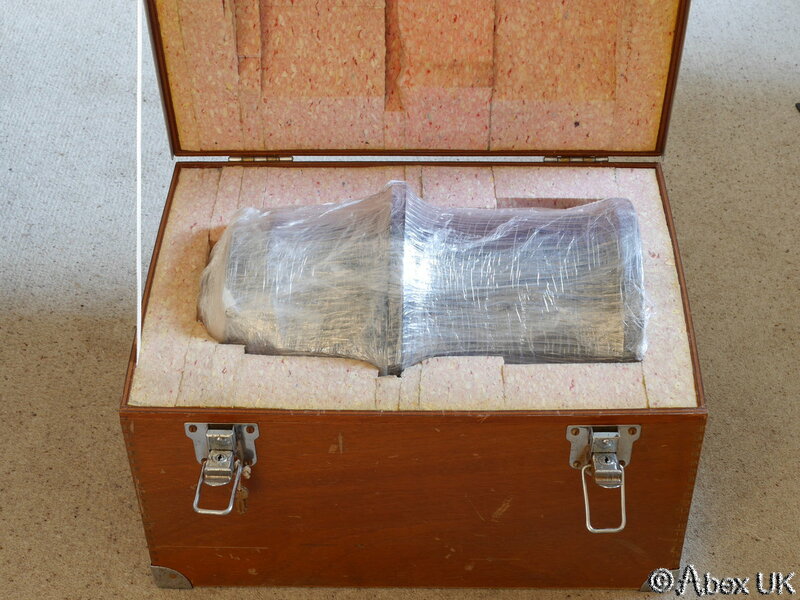 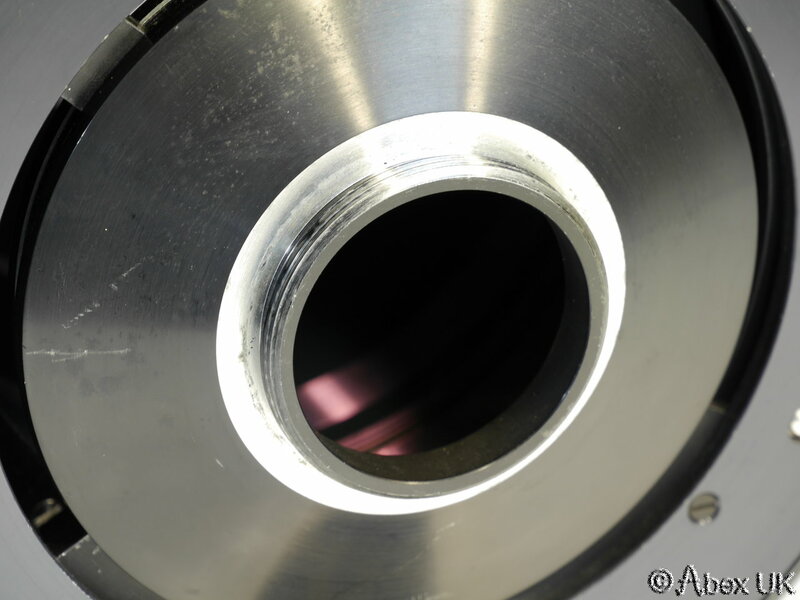 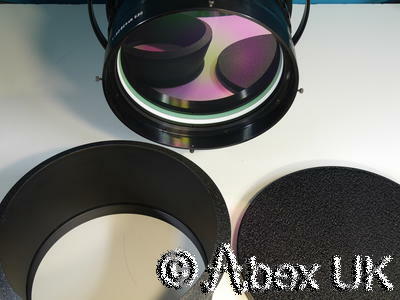 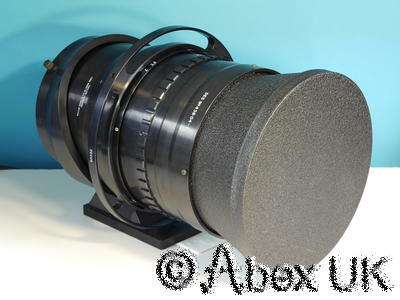 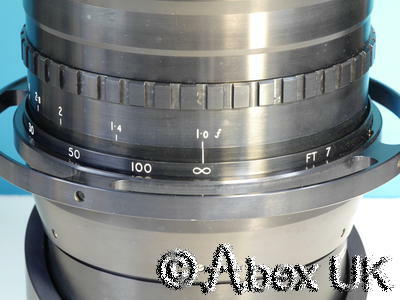 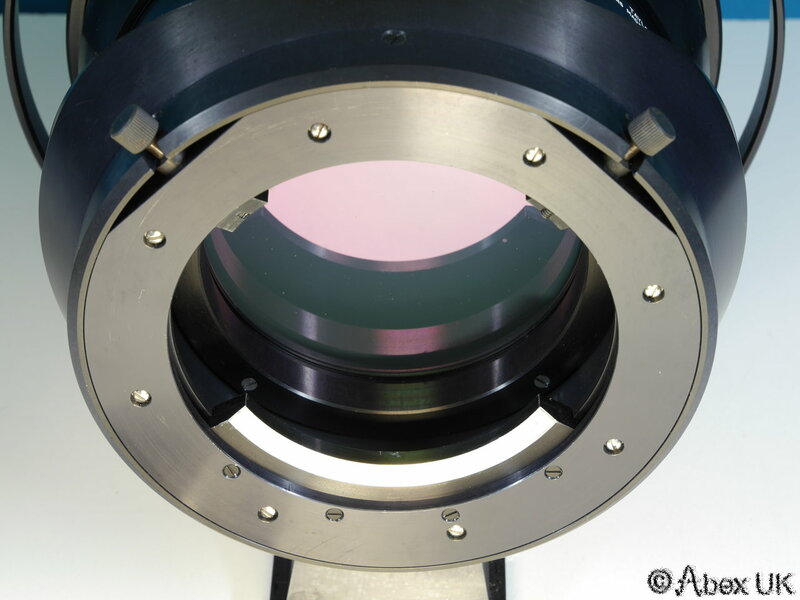 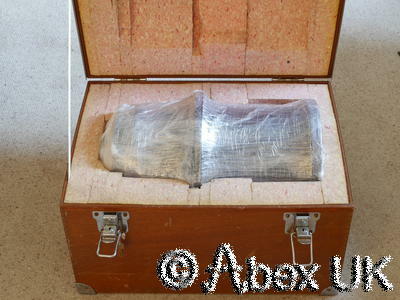 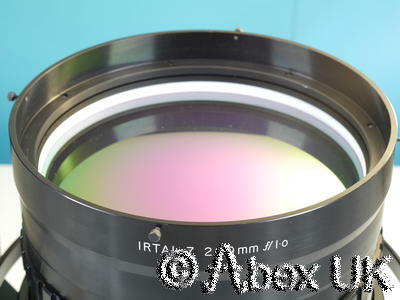 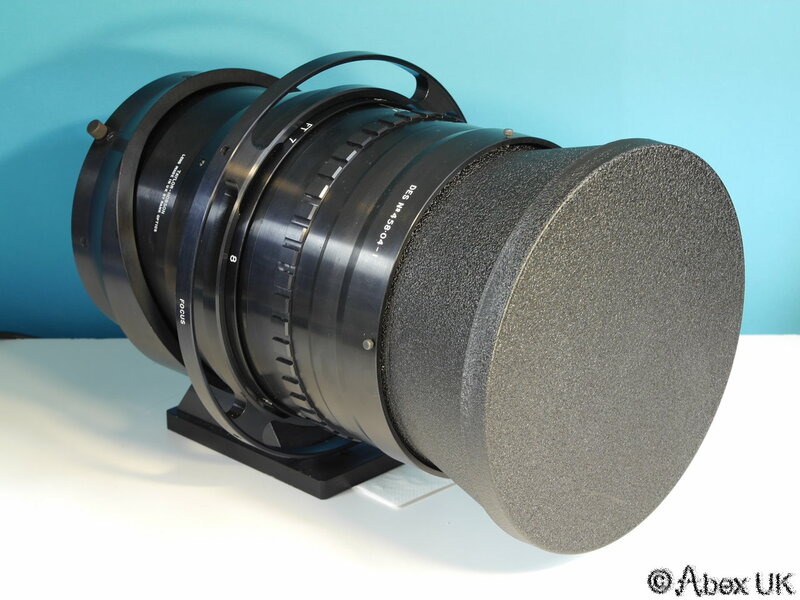 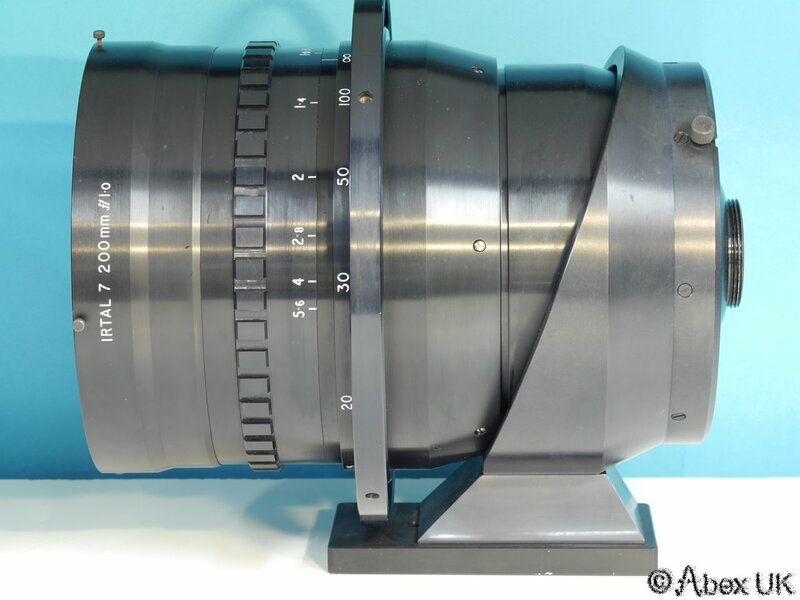 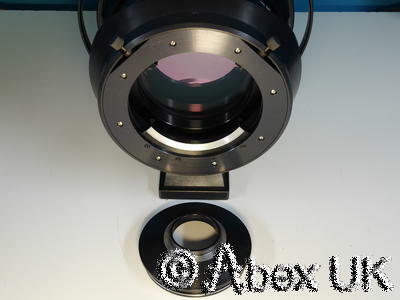 This item is a very large and very fast germanium objective lens for a thermal imager or thermal imaging camera. 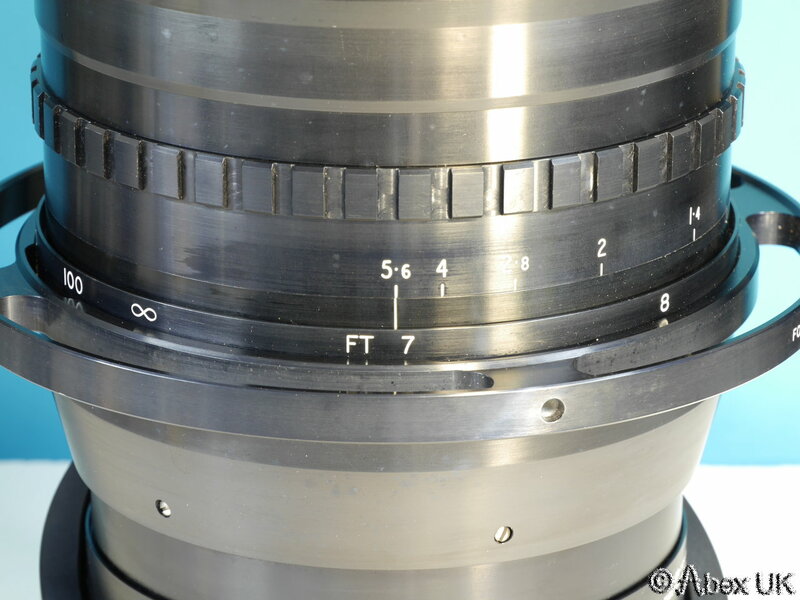 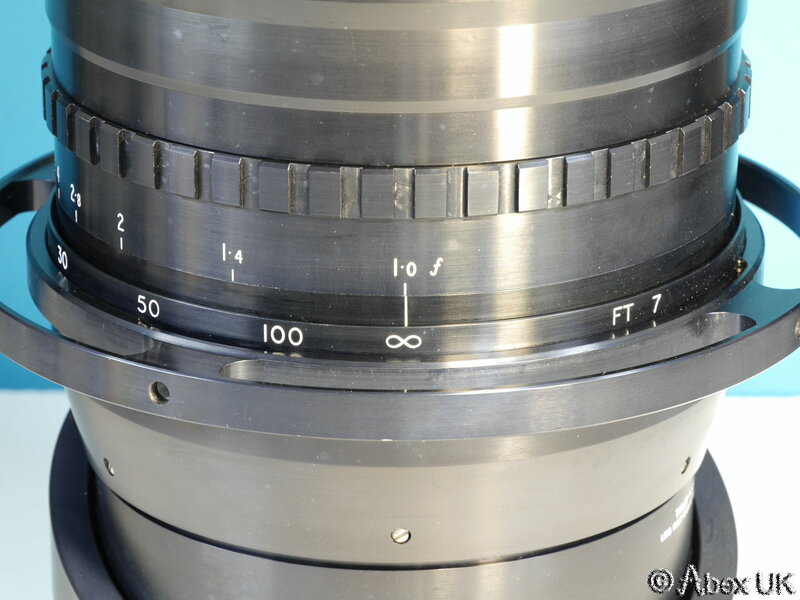 The focal length is 200mm, and the maximum aperture is F1.0 The front element is 20cm in diameter. 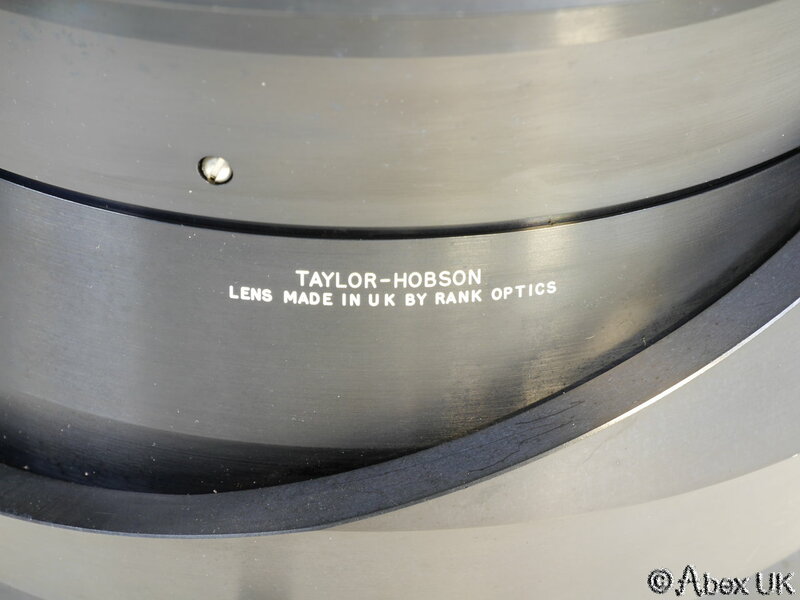 Made by Rank-Taylor in the UK. 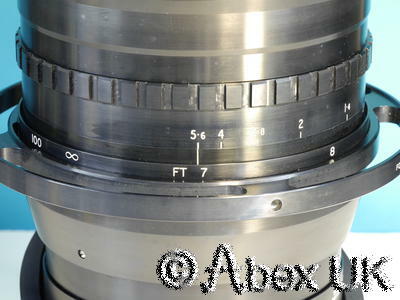 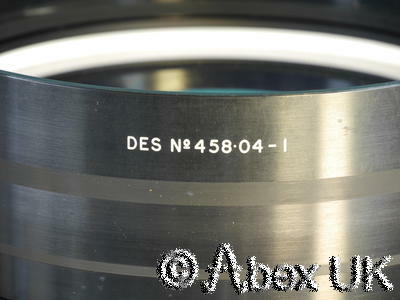 There is an aperture adjustment ring, with settings from F1 through to F5.6. 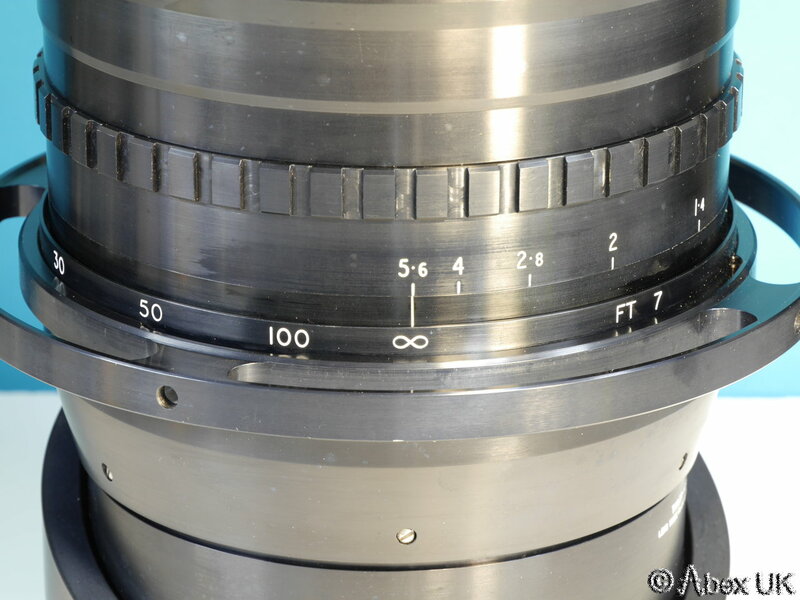 There is also a focus ring with settings from 7 feet to infinity. 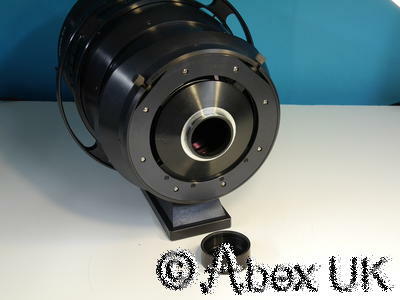 The body has a threaded rear mounting on a removable adaptor plate. 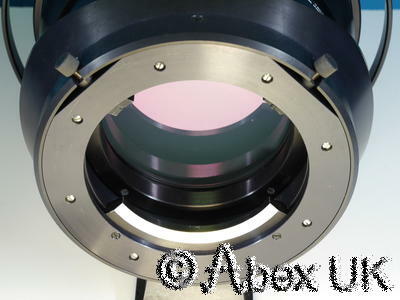 At the front, a removable hood and cap. 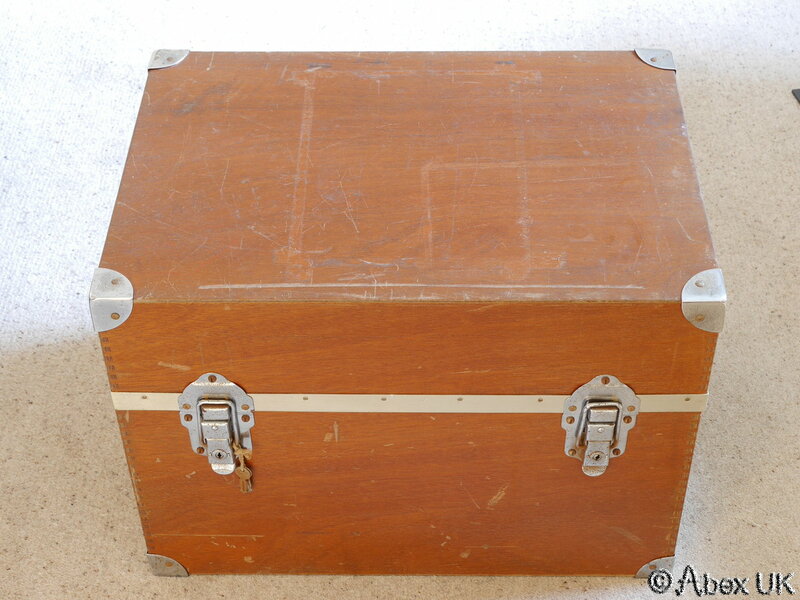 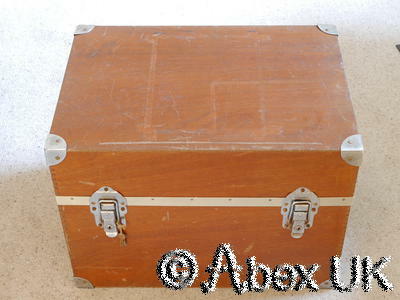 A wooden shipping/storage crate with foam lining is included. 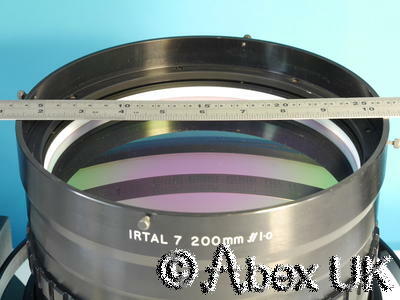 The lens condition is very good, looks absolutely perfect, may have never been used. 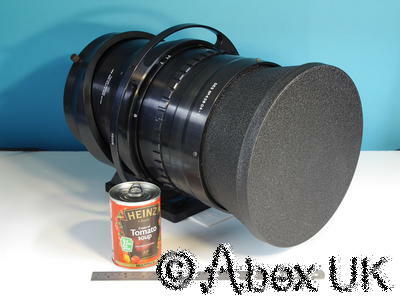 Please note, this is a VERY large lens, it weighs 18kg. 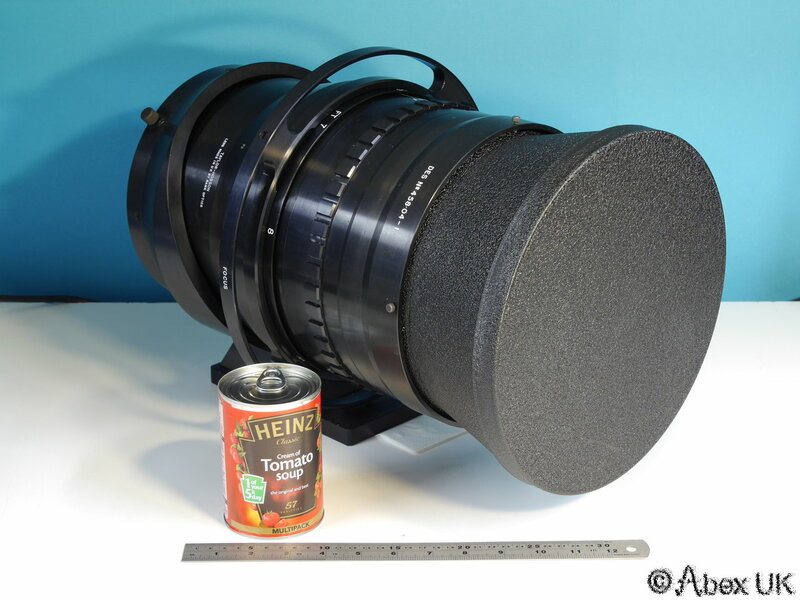 Tomato soup not included.